Hi there, and thanks for checking out our page on the best Ragim recurve bow reviews and guide to Ragim’s accessories. To start off, we’ve provided a comparison table that lists a few of the most popular recurve bows manufactured by Ragim. This chart lets you compare, side-by-side, the bows while also checking out the detailed review of each recurve bow. For beginners or archers looking to customize a bow, the Ragim Impala is a popular choice, and the Wildcat is also a common selection for novices to archery. When it comes to hunting recurves, the 58″ Brown Bear recurve is a very popular choice. We update this page pretty regularly, to give you the latest information and reviews on Ragim recurve bows we haven’t covered before. You should also visit our list of all Ragim recurve reviews. Bow Weight ~ 2 lbs 3.9 lbs. 2.4 lbs. Draw Weight 35, 40, 45, 50, 55, 60 lbs. 24, 29, 34 lbs. 40, 45, 50, 55 lbs. 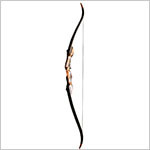 Ragim offers a wide array of world-class bows for archers and hunters. The company is based in Italy, and all of its bows are 100 percent made in Italy. Their bowmakers are masters of their trade, with many years of woodworking and archery experience. Ragim itself has been manufacturing bows in Treviso, Italy, for more than 20 years and are serving archers in 15 nations around the world. 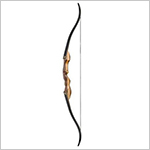 Ragim’s Web page gives you a pretty good view, along with plenty of information, about all of their bows. Unfortunately, you can’t zoom in on the product images, but they provide excellent close-up shots of their risers. They have several extremely popular recurve bows, and their product lineup ranges from beginner and youth bows to advanced hunting recurves. What do Ragim bows tend to have in common? 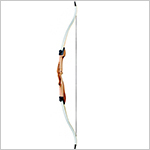 Ragim offers a wide variety of recurve bows, from beginner bows to true competition recurves. Here are their main categories of recurve bows. Ragim’s takedown bows are all wooden bows, featuring hand-crafted risers and limbs. The limbs are typically laminated fiberglass. Ragim offers three takedown recurves for hunting purposes, all under the Impala name. There’s the Impala, the Impala Deluxe, and the Impala Bowfishing Kit. In traditional one-piece recurves, Ragim has quite a bit more to offer, with 10 products in that category. Each one is gorgeous to look at, but you want these bows to be more than just pretty, and they are. The one-piece recurves are excellent hunting bows, and provide years of service. Ragin offers 6 different beginner bows, 3 of them in the Junior class for young archers. These bows are all takedown recurves, but they are simple and inexpensive, allowing for an easy entry path into the sport of archery. 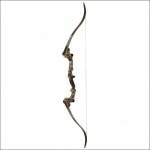 In what Ragim calls its “Top Class Bows” category, you’ll find an assortment of takedown and one-piece recurve bows. The Antelope and the Red Falk are both takedown recurves, and the category also includes 6 one-piece recurve bows. These recurves use higher quality woods, such as padouk and hard maple, and tend to be available in a variety of draw weights that sometimes are not suitable for hunting purposes. Ragim also offers ILF risers and limbs, with two different risers and two different types of limbs for competition shooting. Ragim doesn’t offer any accessories in their product catalog, as they focus solely on creating bows and not on providing accessories for those bows. G&H Outdoors, the only listed reseller of Ragim bows on their website, doesn’t carry accessories, either, but does sell individual components such as limbs and risers for various Ragim takedown bows. Fortunately, Amazon has a wide selection of both Ragim bows and accessories to go along with them. You can confidently assume that if your Ragim bow is predrilled and includes the brass inserts to use accessories like sights, stabilizers, and Berger buttons, then you can confidently purchase any brand of such accessory to work perfectly fine with your bow. 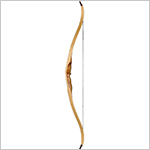 If you must purchase your Ragim recurve bow used, we recommend doing so through a service that will allow for an inspection of the bow before any money changes hands. Since some of Ragim’s bows are unusually prone to limb twist, a beginner to the sport should never shop for a used bow without the assistance of a seasoned veteran, because many used bows will have defects that the seller may or may not be aware of. Generally speaking, it’s better for a beginning archer to purchase an inexpensive (depending on your budget) new bow, rather than aiming for a high-end bow that is used and might seem like a better deal. If you’re not sure where to start, take a look at our top 10 recurve bows, and you can read reviews and compare prices of some of the best of the best. 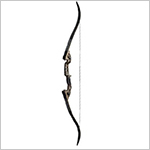 We include lists of bows that are best for beginners, best by price range, best for hunting, and best overall. Thanks for taking the time to read through to here. Ragim is a good name, but with some quality control issues that you may want to steer away from. Their good recurves are very, very good, and will offer years of accurate shooting. Just make sure you take your time, research through our site’s reviews, and you’ll find a Ragim recurve bow that is suitable for your needs and your budget.